Are you ready for Lead 3? We certainly are! Alludo will be taking part in this year's symposium again, presenting our Lead 3 League game. Get started today on pre-conference activities! Lead, collaborate and learn during the #Lead3 symposium with hands-on, reflection-oriented activities in a fun, gamified experience. 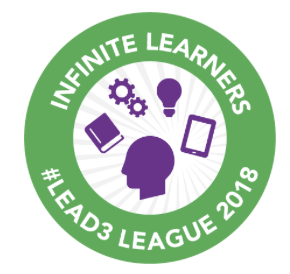 Compete with other educational leaders and become a Lead 3 Hero! Earn badges, points, your Lead 3 League button, and more! Complete 100 points per mission and you've earned the bragging rights of a #Lead3 League Hero! Download your digital badge and be sure and come see us to get your stickers. Complete your first activity, Get Oriented, and get your League ribbon and button.